Happy Tuesday! Hope everyone had a good weekend; ours was super busy viewing houses, but we think we’ve found one! There were three we didn’t like, but one (the project house) which we loved! I say project… I’ve seen houses which require more work, this one has had bits done, but the kitchen. OMG the kitchen. It’s straight out of the 80s. As is the “conservatory” – it’s a metal lean to which looks like a greenhouse! We’ve booked a second viewing this weekend and we’re meeting my dad there as it would need a new kitchen and we’d probably extend it to make a living/dining/kitchen area. My husband seems to forget that it used to be my job and then I got a degree in it, so when I look at floor plans I actually know what I’m doing! Anyway, I can’t believe it’s actually Easter this weekend! It seems very late this year and like the shops have been going on about Easter for months… well actually they probably have, I’m sure I saw Easter Eggs on the shelves in January. I decided it was high time I made drop sugar cookies… I’ve made the “normal” kind and I’ve made sugar cookie bars, but ones you just drop onto a baking tray and bake? Not yet in my repertoire! 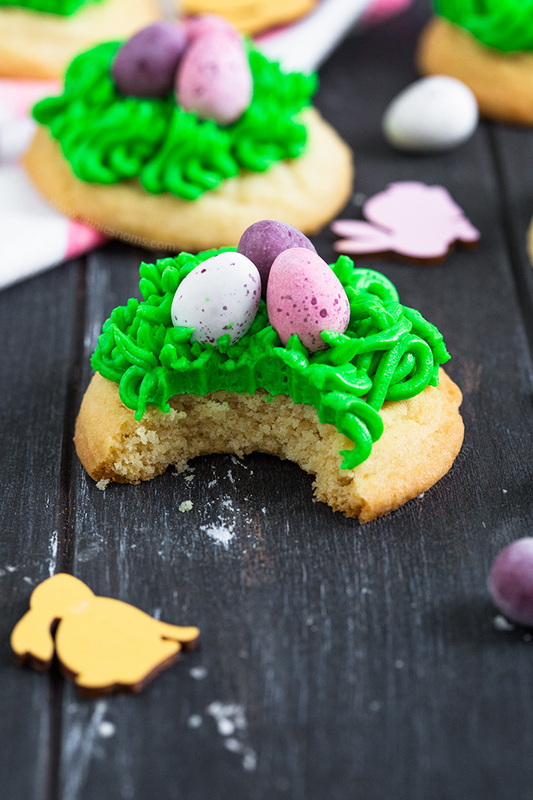 To decorate these cute little Easter Nest Sugar Cookies, I finally used my grass nozzle! I’ve had it for ages, my mum bought it for me, but I’ve never got round to using it until now. These sugar cookies are super easy to make and decorate – I am no artist, yet I still think they turned out pretty cute! The fact that the grass doesn’t have to be perfect definitely helps my shoddy art skills! 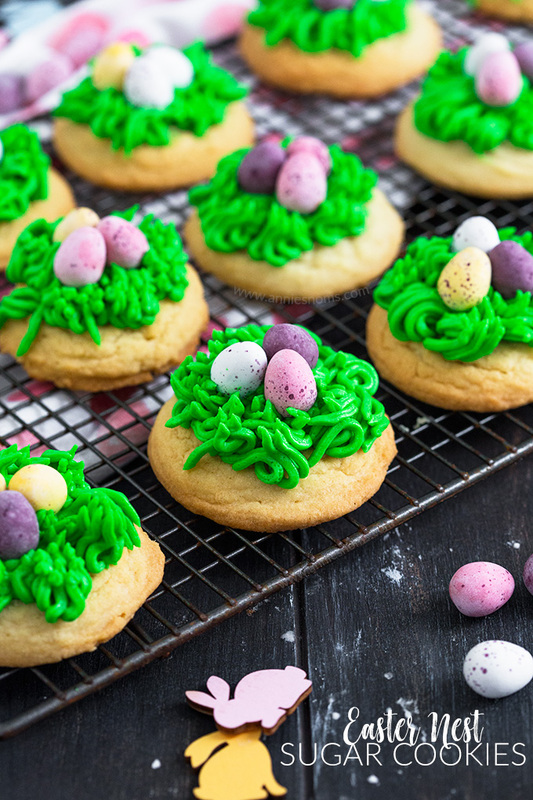 To finish them off I added some Cadbury Mini Eggs and there we have it: Easter nest sugar cookies! 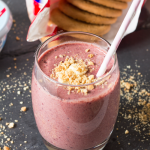 Fun for the kids and the adults – oh and ultra delicious! Preheat the oven to 180C/350F and line 2 baking trays with grease proof paper or a silicone sheet. 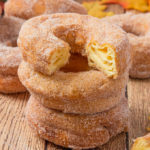 Place the butter and sugar into a large bowl, or the bowl of your stand mixer and beat until light and fluffy, around 2 minutes on medium-high speed. 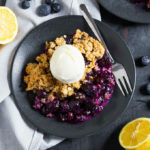 Add in the vanilla extract and egg, scraping down the sides as necessary, and mix on medium speed until well combined and smooth. Add in the flour, baking powder, bicarbonate of soda and salt and mix on medium speed until your mixture comes together into one big lump. It should be pretty stiff and the dough won’t be overly sticky. Using 1.5tbsp cookie scoop, place balls of dough 2 inches apart, then place in the oven for 9-11 minutes (mine took 10 mins) until lightly golden around the edges, but still soft in the middle. 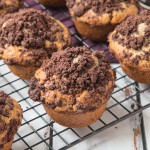 Leave to cool completely on the baking trays before making the frosting; place the butter, sugar and vanilla into a large bowl, or the bowl of your stand mixer and mix on low until the mixture starts to come together, add the 1tbsp of milk, then turn up the speed to medium-high and beat until the colour pales slightly and the mixture is light and fluffy. 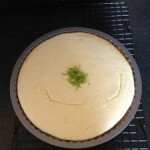 Add in the green food colouring, a few drops at a time until you have a bright green frosting. 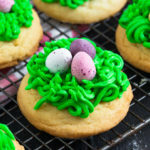 Half fill a piping bag, fitted with a grass nozzle (Wilton 233) and pipe little piles of grass all over the top of the cookie. 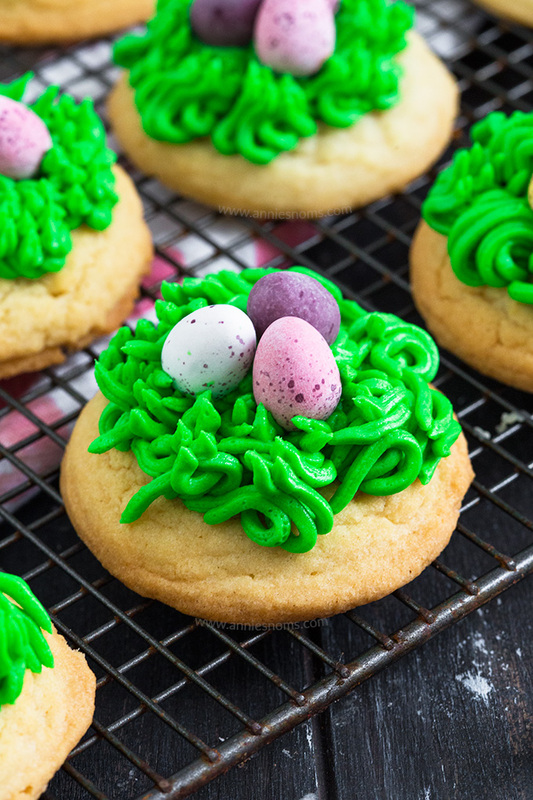 Place 3 Cadbury Mini Eggs into the centre of the grass and enjoy! 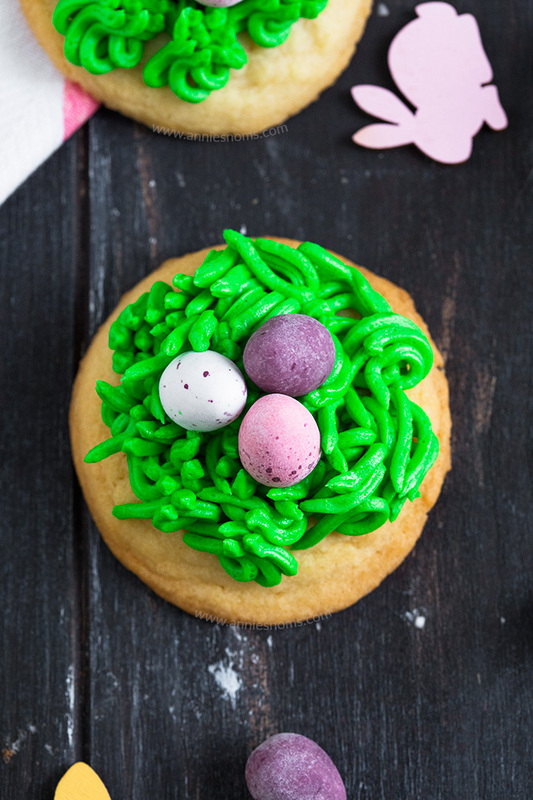 Easter Nest Sugar Cookies will keep in an airtight container, at room temperature, for 5 days. Love this idea. These are so cute and perfect for the Easter holiday. These are adorable! They’d be a fun addition to our Easter celebration. My kids are on spring break this week and these would be so fun to make together! Such a cute treat! These cookies are adorable. 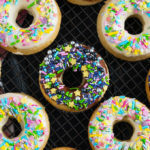 I have a frosting tip like this so I can easily make them, yay! OMG so cute and so fun! 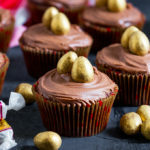 I’m making these for the kids in my son’s church group this Easter! Just so adorable!